Buying a home is a wise financial decision, especially if you are planning to stay in one place for at least a couple of years. Mortgage payments are generally lower than rent prices, giving homeowners an opportunity to save each month while building equity in their investment. But, when considering a home purchase, you will need to look beyond the down payment and mortgage. While these are likely the largest expenses, they are not the only home buying costs. Without a detailed budget that includes setting money aside for unanticipated expenses, you risk running into debt or even defaulting on your mortgage. On average, hidden homeownership costs add up to more than $9,000 per year in the U.S. That is almost a quarter of a standard down payment ($40,080) based on the median home value of $200,400. Depending on where you live, however, that number can be substantially higher or lower. San Francisco homeowners should budget $16,290 each year, while Bostonians can expect to pay an additional $14,377 annually. In other cities like San Antonio ($8,131), St. Louis ($7,787), Charlotte ($7,401) and Indianapolis ($7,123), extra home costs are marginally softer. In Atlanta, the annual bill for the hidden costs of homeownership is $9,383. Do not overlook the following home buying costs that can quickly add up during the buying process as well as once the “Sold” sign comes down. When calculating the monthly cost differences of buying versus renting a home, do not forget to include monthly expenses beyond your mortgage. Unlike renters’ insurance, which may not be required and typically costs under $20 per month, mortgage lenders almost always require borrowers to obtain pricier homeowners insurance before closing. Although it boosts your monthly overhead, insurance can protect your pocketbook against exorbitant fixes for floods, fires, thefts or injury-related lawsuits. Property taxes add another expense that varies depending on your new home’s value and location. Mortgage lenders often loop taxes into your monthly sum to ensure timely payments. If you provided less than 20 percent down on your home purchase, you may also need to pay private mortgage insurance (PMI) fees. Before you commit to buying, calculate these costs so you can more accurately estimate the amount of time it will take before purchasing a home makes more financial sense than renting. The thought of spending an incredible amount of money on a home without first having a home inspection performed is like playing Russian Roulette. It is worth the time and expense (often between $300 and $700, depending on where you live) to have the piece of mind knowing the property you are about to purchase does not have major issues. If the home does have some problems, you can always negotiate repairs or a lower purchase price. A professional inspector will look for structural defects, leaks, heating and cooling system, roofing concerns, infestations, mold, water heater, and a host of other things. It is important and I always encourage my new buyers to have one performed, even when purchasing new construction. Just keep in mind, regardless if you buy the home or not, you will not be monetarily reimbursed for the cost of the home inspection. Lenders want to make sure the home is worth the amount you are trying to borrow so this is an expense you will need to be prepared to pay. The typical cost of a home appraisal is between $200 and $500 and are usually completed within a few hours. If the home does not appraise for the agreed upon selling price, either the buyer will need to pay the difference or the seller will need to reduce the home price to compensate for the appraisal/selling price. Escrow/Interest ($1000+) – Property tax/insurance may need to be put into an escrow account upfront. You will also have to pay prorated interest from the closing date to the first day of the next month. Lender Origination Fees (between 0.5% to 1.5% of the loan) – The cost of requesting a home loan to include processing the application, the underwriting process, and funding of the loan. Loan Application ($100 to $300) – An official credit report and other costs associated with asking for a loan. Surveys ($150 to $300) – A home survey is used to determine the property boundaries. Title Services ($200 to $400) – A public records title search. Also included here you may find government. notary, and other associated filing fees. Other Fees (price depends on the item) – Flood certification, termite bonds, home warranty, security system fees, cleaning, etc. 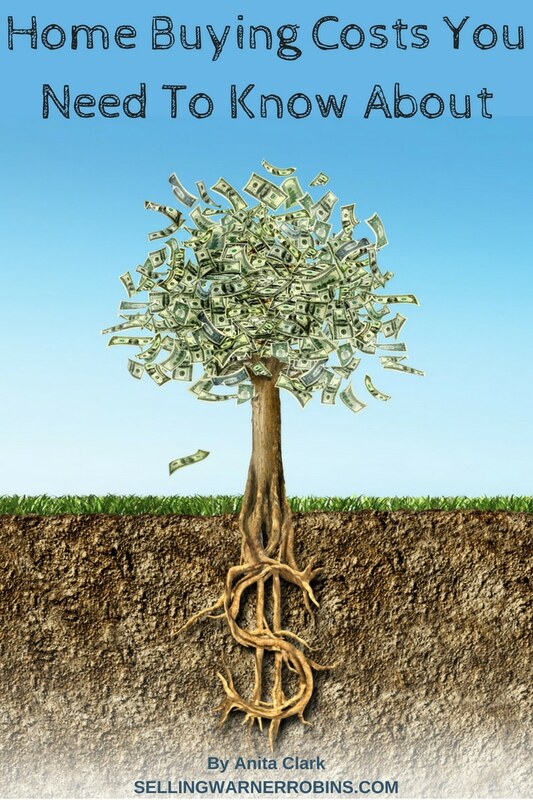 can quickly eat up rainy day funds you have been saving. Note: The need for and cost of these services can vary, so shop around before committing to a specific vendor. It does not matter if you try the Do-It-Yourself approach or not, there will be some costs associated with moving. For those who go the DIY route, expect costs to run at least $100, depending on whether you rent a truck, provide food/beverages for helpers, etc. If you decide to be moved professionally, the costs can go up significantly higher. An obvious benefit of this approach is you can concentrate on other tasks and let the movers do what you hired them to accomplish. This is definitely an area where shopping around can help keep expenses down to reasonable levels. Some long-term renters prefer to stay in a lease to avoid the expenses and headaches associated with owning a home. At a professionally managed apartment complex, onsite staff is typically responsible for everything from lawn maintenance to plumbing fixes. For homeowners, particularly those in single-family residences, the responsibility rests entirely on their shoulders. Based on data from a professional service directory, Thumbtack, the most popular house-related projects are general cleaning, pressure washing, yard care, carpet cleaning and gutter cleaning. You can budget for these expenses or plan to go the do-it-yourself route, but don’t forget to include the cost of renting or purchasing the equipment needed to manage the tasks. Experts urge homeowners to set aside approximately 1 to 2 percent of their home’s purchase price each year for general upkeep. Based on the median home value in the U.S., that would be about $3,006 annually if you’re saving 1.5 percent. In Warner Robins GA, for instance where the median home value is $130,900, 1.5 percent equates to $1,964 each year. If you live in a condominium, townhouse or subdivision, you may be charged a monthly Homeowners Association (HOA) fee. HOA fees vary based on location, inclusions and unit size. For some, HOA dues are beneficial because they minimize personal responsibility for maintenance and enable group-rate prices. Fortunately, your mortgage lender calculates HOA dues into your estimated debt-to-income ratio before approving your home purchase. Bear in mind the risk of an assessment. Special assessments are one-time fees the HOA board can impose for necessary building repairs. These are more common in older buildings in need of newer materials and technology. You will have to pay your share of the upgrades, which can amount to thousands of dollars. Moving from a one-bedroom apartment to a single-family home provides more room to grow, but extra space can mean extra costs, too. Expect utility bills to increase in accordance with your square-footage upgrade, especially if some or all utilities were included with your rental. If moving to another region, plan for gas and electric costs to vary based on climate and season. To plan wisely, ask the seller for past utility bills before moving forward on a home purchase. Even then, utility costs will fluctuate based on your preferences and lifestyle, so if you tend to max out the AC in the summer and set your thermostat to 75 in the winter, expect your bills to be higher. Internet, phone, and cable may be new expenses if they were previously lumped into your monthly rent, so budget around $100 per month to continue receiving those services. Many homeowners now opt to ditch the cable wires in favor of streaming and on-demand video services. Sometimes, paying for multiple app subscriptions costs the same as a premium cable package. It is important to consider your habits and do your research before making any final decisions. You are about to have a beautiful new yard to enjoy with family and friends, but do you have the yard equipment to keep it looking its best? Depending on your needs, you could be spending quite a bit of money to build up the equipment you will need to keep the yard looking its best. Are you prepared to spread mulch, fertilizer, or weed control products? If you live in a locale that has a moderate to harsh winter, do not forget about the products you may need to keep snow/rain/wind at bay as well. This includes storage of any items you may need too. If you decide to hire a professional, and depending on your seasons, you could be out a lot of money going that route too. Decide which option makes the most sense for you, get the most bang for your buck, and you will have piece of mind knowing you are doing everything possible to keep your lawn healthy. If you have to commute to work, it could mean quite a bit of extra wear and tear on your vehicle. This could mean increased maintenance costs as well as more gas consumption. Depending on where you live, tolls may need to be paid too. If you decide to take public transportation or ride share, be sure to budget in the long-term costs of doing so. While there is not a direct cost, how much is your time worth? Extra commute times mean less time doing the things with family and friends you enjoy. More often than not, these purchase will be discretionary, but there may be instances where a purchase is necessary because of a new addition to the family or perhaps even a move from a small place, or one that was furnished to a larger empty home. Sometimes homes come with appliances and other times they do not. If you need to purchase a refrigerator, washer/dryer, or other home appliances, the costs can quickly stretch your budget so know what you need before jumping into a home purchase. One of the most exciting aspects of homeownership is the opportunity to make a space your own, which may involve some minor to major remodeling projects. Whether structurally necessary or completely cosmetic, include these expenses as part of your total home-buying budget if you plan to complete them within the first year of home ownership. If you have the luxury to delay renovations, you can save as you go and work on the home when personal finances allow. Of course, you are only limited by your imagination, budget, needs, and what is allowed in your area. A key is to ensure the remodeling is professionally done (or by an experienced DIYer). Buying a home is a major endeavor that comes with substantial advantages, but only if you are mentally and financially prepared for the road ahead. Calculating all costs, even the unanticipated expenses, safeguards your wallet and helps you avoid the most common pitfalls. While we all know there will be expenses, no one wants to be caught off-guard with home buying costs they are not prepared for. 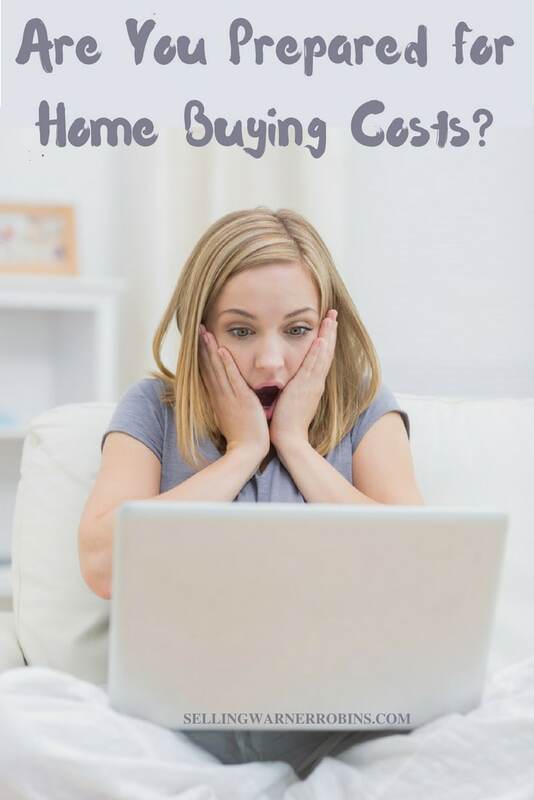 If you found this article on Home Buying Costs You Need To Know About helpful, please consider sharing it socially with your readers. It is useful information, a home buyer must know these tips, it will help him to maintain his budget for the home. For a home buyer, home inspection, insurance, and taxes etc, are a most important point, keep this in mind before you want to buy any home. Thanks for sharing this information with us. These tips are most important for a home buyer. But I am in search of buyer who acquire my land for housing. Personally, I think Olm Fastigheter AB is one of the best real estate company who build new rental housing throughout Sweden. Please Suggest. sharing it. Keep updating…You can also check details for booking rental property, Beachfront Villa in Florida. Beautiful vacation properties are available.